Seeders for Lao Farmers commences delivery of our seeders on March 13-21. We have 10 seeders ready for 10 villages in Savannakhet and enthusiastic staff from the Provincial Agriculture and Forestry Office are waiting to help us with the distribution of the seeders. At this stage, it is worth reminding ourselves: what are we trying to do? Small, basic-but-capable seeders and basic training will improve Lao farmers’ livelihoods almost overnight. 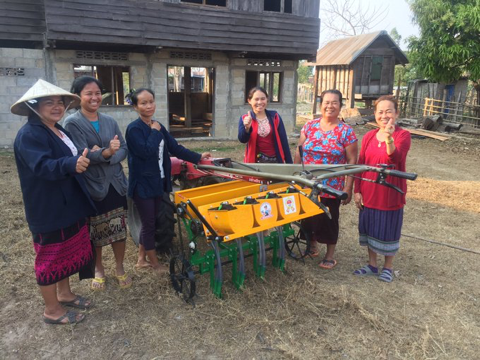 A basic-but-capable seeder will help them establish rice and other crops on a range of soils and conditions with less labour. Not having to wait for enough rain for ankle-deep water enables earlier establishment for better and more reliable yields. They can also contract-seed for nearby farmers for extra income to help their livelihoods. 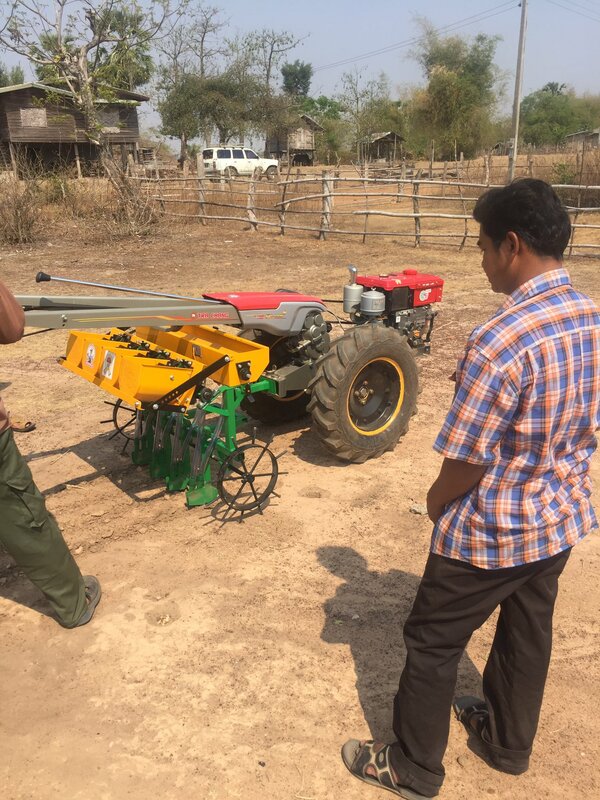 So our aim is to help speed the evolution of drill-seeding technology, support services and techniques to benefit lowland-Lao farming households and farming systems. 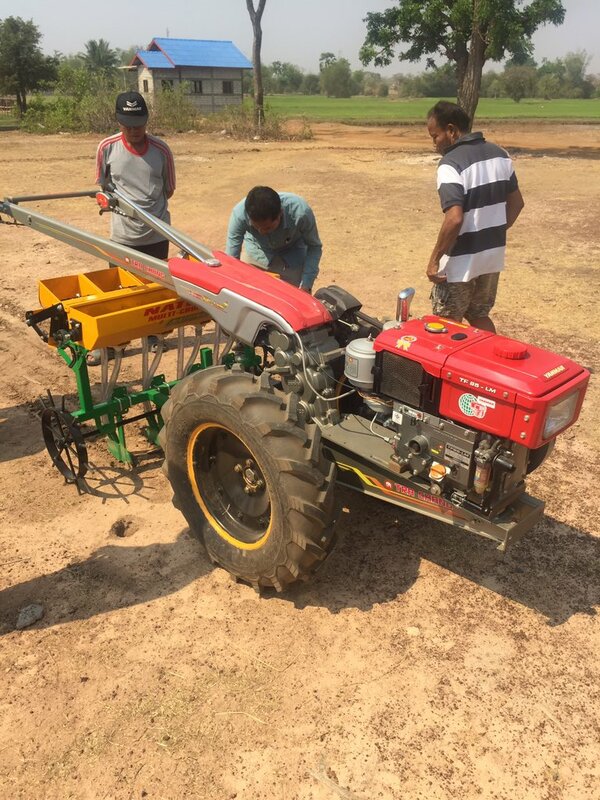 We are doing this because in Savannakhet Province in particular—Lao PDR’s rice bowl—farmers are adopting drill-seeding technology quite quickly. However, they currently only have access to exceedingly simple seeders, limited extension services and few research results to use. We hope to achieve our aims by placing our more capable seeders with chosen ‘champion’ farmers, providing them with training and relevant research results to date, then guiding them as they go to it! The farmers who will get the seeders will be expected to help advance the drill-seeding method in their villages and districts. Just like in Australia, Lao farmers learn from each other. So we want active, innovative and communicative farmers. We will be relying on village leaders to choose our ‘champion’ farmers but will also be monitoring how things progress as we meet and become acquainted with them through the training process. So it’s exciting times ahead and I look forward to reporting regularly from Laos as we distribute the seeders, meet our ‘champion’ farmers and see the results in the fields. I’ll be sending photos and posting on Twitter as internet permits so please check @leigh_vial and @crawfordfund. 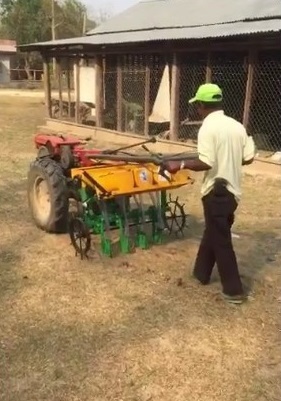 Go to this link to check out our video: ‘Our seeder getting a test run in Nonevilay Village, Savannakhet’.